Love donuts? Want to decorate your own donut masterpiece? 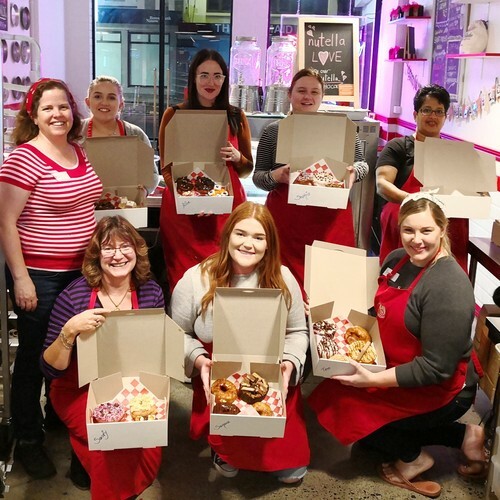 Then come along to one of our adult Donut Decorating 101 class hosted by Danielle, our Chief Pie and Donut Creator, and Montserrat, our Donut Decorating Queen. In this fun class where you'll learn how to make icings and learn tips and tricks for decorating the ultimate donut. 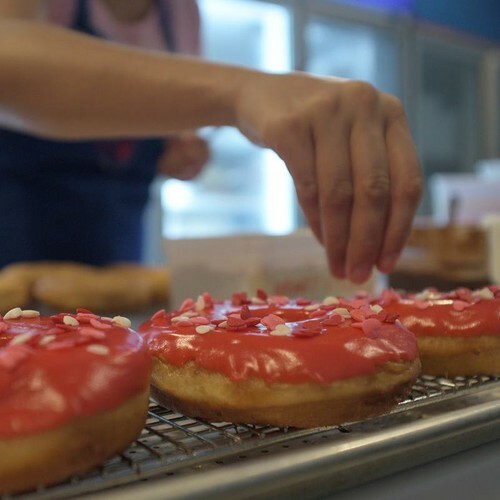 You'll have the chance to decorate 4-6 donuts of your own, with decorations and fillings galore at your disposal. Let you imagination run wild! The class will have a maximum of 10 people, so Danielle and Montserrat can give everyone some individual guidance. It's a social class so the Piper & Doornuts team will provide some nibbles (other than donuts) and non-alcoholic drinks to keep you going too. So come along and learn about Donut Decorating 101. Bring a friend or two and have some fun. It's going to be a super creative night! - We're not a gluten free, wheat, egg, diary or nut free kitchen. If you have allergies to these things, then this class may not be for you. - Yes, we can provide vegan donuts and vegan icings and toppings. Just let us know you'd like these options available. - The class is held in our main kitchen, so wheelchair access is limited - should you require disability access, please contact us in advance so we can arrange things differently. - Should the class not reach minimum numbers, we will contact you to make the choice of either refunding your ticket, or rescheduling to a different class. - Please be aware that should you purchase a ticket and change your mind about attending, that we're unable to offer refunds 7-days out from the class starting due to staff and set up. If you have any questions, then call our Donuteers on 09-390 6147 - we're happy to help!